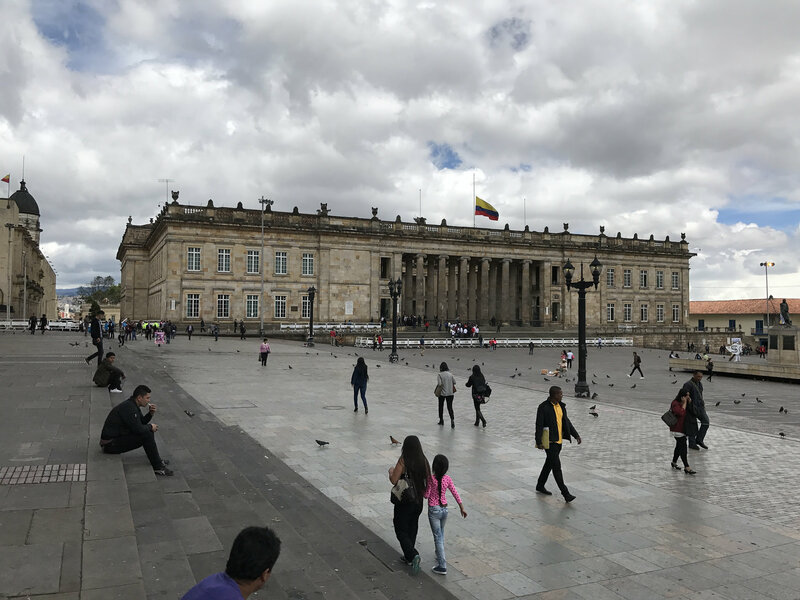 Marked as the deadliest attack with explosives in the city since 2003, the bombing emulates decades of turmoil seen between the Revolutionary Armed Forces of Colombia – People’s Army (FARC-EP) and the right-winged Colombian government. The legacy of FARC in Colombia has been one of destruction as the armed Marxist group committed an estimated 12% of all civilian killings in their demands for a more socialist Colombia. It wasn’t until 2017, after decades of civil war, that FARC’s armed group status was retracted following a peace treaty with the Colombian government. The agreement stipulated that FARC hand over their weapons and allowed FARC to transition from a militia to a political group known as the Common Alternative Revolutionary Forces. But how does this connect back to the National Liberation Army? The ELN was formed as a revolutionary left-wing militia in 1964 and therefore, like FARC, exists as a legacy of the Cold War. Inspired by Marxist-Leninist ideology, the National Liberation Army, like FARC, seeks to fix the unequal distribution of resources in Colombia, especially in regards to the nation’s sizeable oil and mineral wealth. Whilst smaller than FARC, with roughly 3000 members, ELN has made its voice heard through a variety of violent anti-government actions, such as kidnapping and ransoming Colombian civilians, and destroying key Colombian infrastructure, such as the Caño Limón-Coveñas oil pipeline. Because of this, they are currently considered a terrorist group by the governments of Canada, the United States, Colombia, and the European Union. Despite the fact that the ELN has historically been a smaller organization, it appears their numbers are on the rise. Preying on the crisis in neighbouring Venezuela, the ELN has utilized a weak border between the states to both avoid Colombian military action and employ Venezuelan land as a grounds for recruitment. The ELN’s reliance on Venezuela is also symptomatic of Colombia’s unique relationship with leftist Latin America. While it is true that the Venezuelan political infrastructure could do little to prevent the ELN from crossing over the Colombian-Venezuela border, the broader tension between right-winged Colombia and socialist Venezuela is also a prominent cause for the ELN’s reliance on Venezuela. For example, President Ivan Duque has been a strong critic of Venezuelan President Nicolas Maduro, arguing for his removal from power while calling the migrant crisis “terrifying.” This animosity was reciprocated when Maduro publicly claimed that Duque orchestrated an assassination attempt on his life in August 2018. This has culminated with Duque, alongside the Canadian, Brazilian, and Peruvian governments, standing in solidarity with Venezuelan opposition leader Juan Guaidó as the legitimate interim president of Venezuela. Another key player in this issue is Cuba, another socialist regime. In the aftermath of the car bombing, many ELN members fled to Cuba. This is due to the close relationship the ELN has held with Marxist Cuba, citing the Cuban Revolution as an inspiration for their 1964 inception. ELN has also historically utilized Cuba as a training ground for their movement. Additionally, peace talks between the ELN and Colombia have traditionally been held in Havana, further strengthening the relationship between Cuba and the National Liberation Front. Duque has asked Cuba to extradite this group. However, in Cuba, the ELN’s Chief Peace Delegation Officer, Pablo Beltran, has denied claims of knowledge of these attacks, stating that “[the ELN was not] involved. [The ELN is] going to insist, until the final day, that the government [of Colombia] provides guarantees for our return.” Whilst Cuba’s Foreign Minister Bruno Rodriguez has reaffirmed a position of neutrality, wanting to be a purveyor of peace between the two, Cuba’s lack of current action has inflamed the Duque government. The Duque administration has argued that Cuba is required under international accords to ensure those responsible for the terror attack are held liable. So where do these attacks leave Colombia? For Duque, the weighing of security over peace appears to be an attractive option. As a member of the right-wing Democratic Centre Party (CD), it seems as though Duque is following the legacy of the party’s current leader and former President Alvaro Uribe. Duque’s stance prioritizes a more forceful management of the ELN, rather than one fuelled by negotiations as Pablo Beltran has wished. For the ELN, there is a drastic split between leadership and ELN guerrilla fighters. ELN heads have distanced themselves from the attack, claiming to have no prior knowledge, and arguing for renewed peace negotiations. However, just like the uncertainty of President Duque’s future policies, it is unclear what the truth is in the matter. Featured image by Elias Rovielo, via Flickr Creative Commons.